Such a simple reminder of what to do with our clocks during the Spring and Fall seasons. It works for me. I have to repeat it in my head as time comes around, for me to remember which way the clock hands needs to be turned. Or, in these days….the digital numbers. For me however, when I owned my Salon, it was also a refresher. Spring seemed to be the perfect time to “Spring clean”. I found it cleansing, refreshing, motivating and an excuse to make a new start. There always seemed to be a lull between the end of the year Holiday’s and Summer. March and April was that sweet time between the two, and I took complete advantage of it. In fact, I still do. 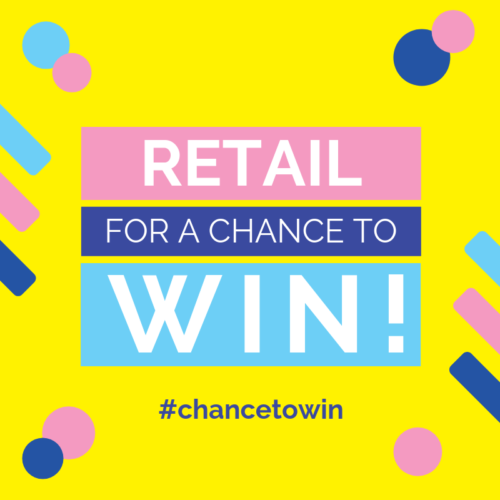 When I wrote my article last week on selling retail, I was hoping more than 2 people would take advantage of my “retail challenge”. I’m offering to give away $100. in product for you to set your own goal and follow through. Seems crazy to me not to take advantage of that, but what it showed me is the fear our Technicians really do have in promoting retail. 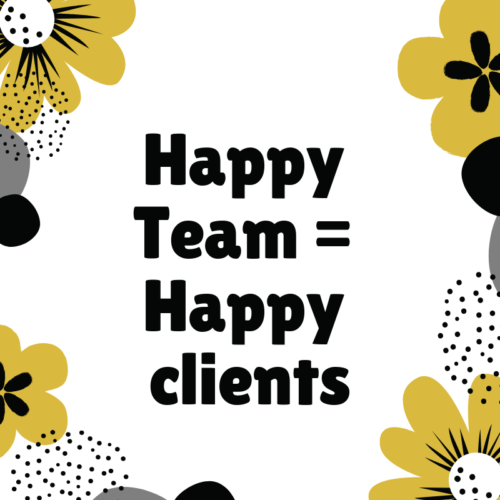 I assure you, the excitement, the refreshment, the motivation you get from a reboot extends to your team and your clients. In fact, I suggest you have your entire team reboot. It can be fun and without a doubt, it can help increase your $$$$. Deep clean your Salon. Floors, shelves, stations, storage area. Get rid of products in your cabinets you don’t use. Clean out your draws and re-organize. Make it a fun day with your team. Open the doors and windows. Crank up the music. Bring in lunch….get er done. Refresh your cleaning and disinfection procedures. Once you have everything clean, you really do need to do the best to maintain it. Cleaning and disinfection isn’t just about your tools and implements. It’s about your work area as well as your retail shelves. Review your procedures and make sure everyone is on the same page. Have a meeting of the minds. Work with your team and let them share ideas for future promotions. Ideas on how to increase sales. Ideas on how to cross promote your in-salon services. I can’t tell you how many Technicians I talk to that don’t have the opportunity to share their ideas with their bosses. Sad really, as some of them are awesome ideas. Talk with your Vendors. I don’t understand ordering products without support. I’ve discontinued Business with my own Vendors during my career at my Salon and even now with my Distribution. If I can’t get the support I need to satisfy my client, I look elsewhere. You should be the same way. Evaluate your cost vs sell price. 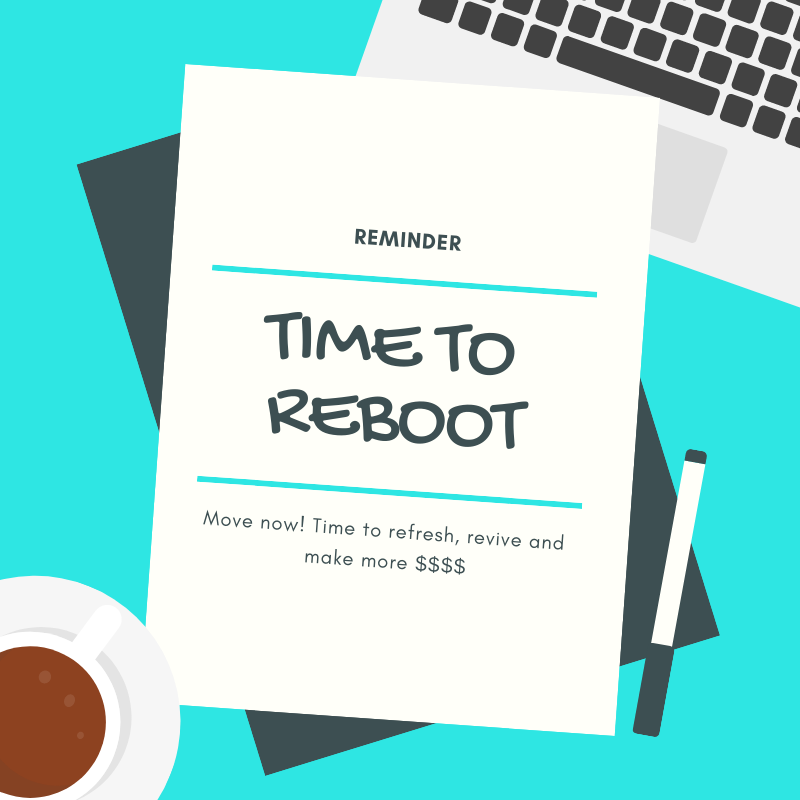 Rebooting is the perfect time to evaluate all your cost and determine if you should have a price increase or not. Eliminate waste. In my opinion, this is the best part of rebooting. You have got to get rid of the things which are costing you money, not making you money. This would include services listed on your menu. This would include products purchased, not being used. Redo your service menu if you have to. If you work on your own in an independent situation, rebooting is very important. When we work by ourselves we have no motivators. We are everything. Doing a reboot helps you to keep going with a positive attitude. Here are some more ideas on how you can reboot without spending a fortune. Simple things really! Move your pictures. Change locations of where they are. Maybe add a new one. Buy new pens. Yup. Seems crazy how anew pen can change your whole day. Add or change your air freshener. It’s Spring, a nice clean linen or citrus (my favorite) works wonders. Buy new towels. Chances are the towels you have been using have been worn and maybe even have nail polish on them. They aren’t that expensive. Place a new hand soap at your scrub sink and/or in your bathroom. Hang a wreath on your door. Holiday signs are the bestest. Change them out always….it’s fun. Buy new tools. I always bought new tools on a yearly basis. My clippers, my nippers, cuticle tools, foot files, bits. Nothing better than a new set of tools. The great thing about this, is you can still use your old tools (in most cases), but now you have alternate sets. It’s awesome. Set goals. New Years isn’t the only time to set new goals. A new goal is refreshing and we should be setting them frequently. Rebooting is refreshing. Spring forward into the season revived and refreshed. Thanks for all of your great information! I enjoy your newsletters! CJ, yes! It’s a perfect time to take advantage of this reboot! I am an independent contractor however, I’m going to print and post this at the salon! There are many of us that just get stuck in a rut, and we all need a bit of a push to get us out and back to do what we love! I enjoy your writings! Keep motivating all of us! Thank you Luzia. I hope it works for you and your clients. Great idea to display.